Jason Segel got denied...by Hillary Clinton. 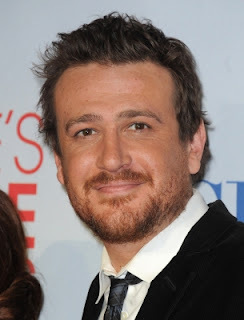 He recently stated, when asked about who would play 'the mother' in How I Met Your Mother if there ever was a big reveal. Jason said that he had contemplated casting Hillary Clinton for the role because she seemed like she would be a good comedian. 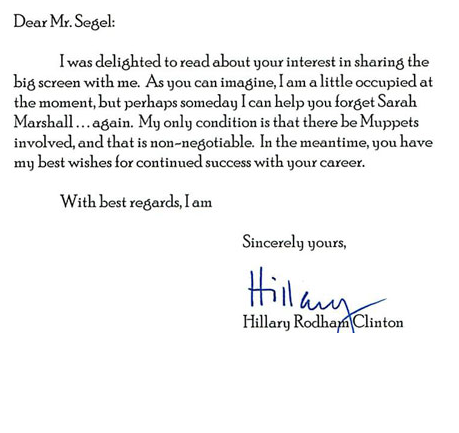 As it turns out, Hillary has more important things to do with her time, but at least she had a couple seconds to sign a letter that one of her under 30 staffers probably wrote after hearing about it on Perez Hilton. What is the deal with the Hillary Clinton obsession? What did textsfromhillary.com start? Agh.